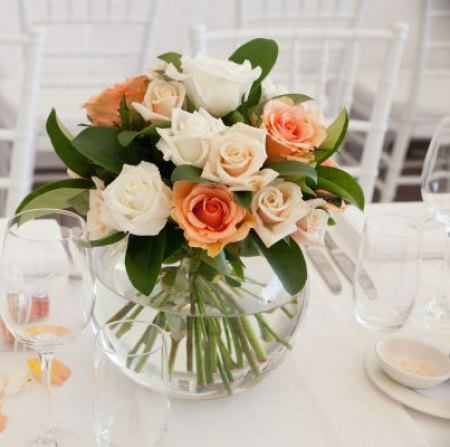 A medium sized floral posy of roses in ivory, champagne and burnt orange to decorate guest tables at your wedding reception. Order your centrepieces online or use our online quotation link to request a customised design to match your individual theme. Alternatively, get in touch with our wedding florists directly at enquiries@bridesinbloom.com.au.